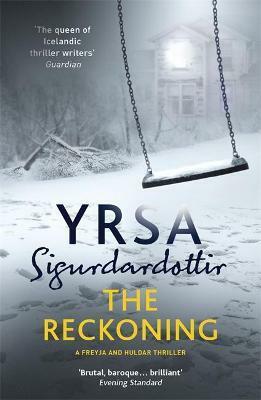 Author of the bestselling Thora Gudmundsdottir crime series and several stand-alone thrillers, Yrsa Sigurdardottir was born in Reykjavik, Iceland, in 1963 and works as a civil engineer. She made her crime fiction debut in 2005 with LAST RITUALS, the first instalment in the Thora Gudmundsdottir series, and has been translated into more than 30 languages. Her work stands 'comparison with the finest contemporary crime writing anywhere in the world' according to the Times Literary Supplement. The second instalment in the Thora Gudmundsdottir series, MY SOUL TO TAKE, was shortlisted for the 2010 Shamus Award. In 2011 her stand-alone horror novel I REMEMBER YOU was awarded the Icelandic Crime Fiction Award and was nominated for The Glass Key, and has been made intoa film starring Johannes Haukur by ZikZak Filmworks. In 2015 THE SILENCE OF THE SEA won the Petrona Award for the year's best Scandinavian crime novel, and THE LEGACY, the first novel in the Freyja and Huldar series, was nominated for The Glass Key and won the Icelandic Crime Fiction Award. All of her books have been European bestsellers.